The South Florida Bloggers and Your Fashion Scout bring you a night of fashion influencer networking. Calling all Fashion Entrepreneurs! 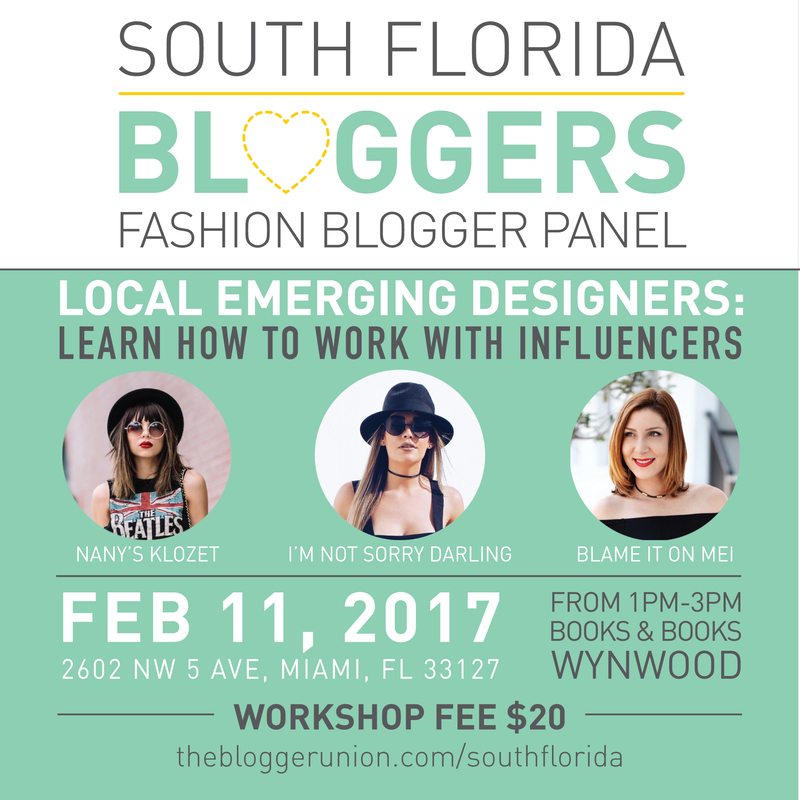 Join us for an intimate conversation on trends and pitching influencers with three of Miami’s top Fashion Bloggers. – Bring your fashion samples, you will have an opportunity to present them at our networking event! – Meet other fashion blogger attendees. 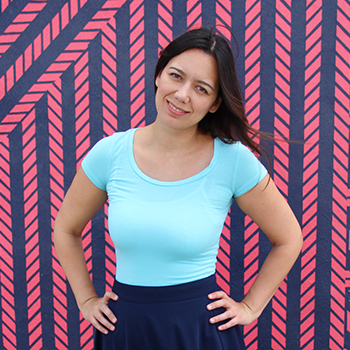 Mei Jorge, is the founder and creative mind behind the bilingual fashion, beauty and travel blog Blame it on Mei. Through her outfits and travel adventures she inspires women to dress and feel better about themselves no matter the price tag, age, lifestyle or even personal circumstances. Mei has worked with brands such as Madewell, South Beach Seafood Festival, Univision, Macy’s, ShopStyle, ViX Paula Hermanny, and Kit & Ace. Currently she has partnered with The Biltmore Hotel Coral Gables, Chicwish, MONAT, Stella & Dot on several special collaborations. Carolina Lindo arrived to Miami, from Colombia, five years ago. Carolina studied Fashion Merchandising and uses her fashion skills to put together unique outfits. I’m Not Sorry Darling began solely on Instagram, but once it started to grow Carolina decided to start the I’m Not Sorry Darling Blog. Thank you to Books & Books for hosting.